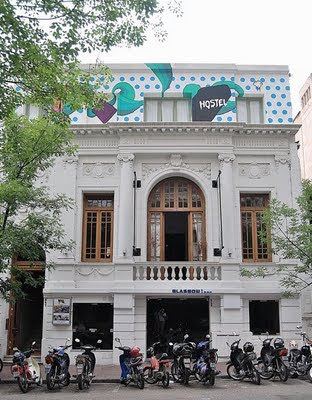 More than two years ago, I wrote about the boom in Southern Cone hostels, which have made it possible for young people to visit Argentina, Chile and Uruguay on a budget, without sacrificing comfort and reliability. More than just a cheap bunk, today’s hostels offer a wide array of services, including meals, tours and of course companions with whom to share the experience. Today’s hostels even have comfortable private rooms, suitable for couples and older travelers, that are often better than two-star hotels. One good example is the Le Grand Hostel, pictured above, in the Argentine city of Córdoba. 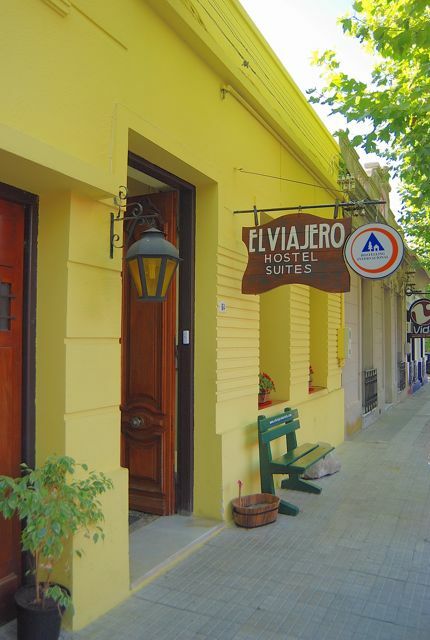 Another is the El Viajero Hostel Suites (pictured below) in Colonia, Uruguay. That said, it’s worth pointing out that not all hostels are the same and, in fact, some are notoriously unsafe. That’s not because of theft or violence – the former can occur anywhere, and the gorefest movie Hostel was fortunately only fiction – but because some hostels don’t meet national or municipal guidelines, not to mention permission, for accommodations. Seeing the success of quality hostels that have opened over the past decade, some operators have taken shortcuts, or ignored maintenance, in a manner that has endangered their guests. This came into focus last month when US exchange student Hannah Kaplan, of Illinois, fell into the street when a second-story guardrail gave way at the Valparaíso hostel where she was staying. The resulting head injury left her unconscious for weeks but, fortunately, she has recovered to the point where her family was able to take her home. In the aftermath of the accident, the Santiago daily La Tercera learned that the El Yoyo Hostel had been operating without the appropriate municipal license since 2008 and, consequently, there had been no safety inspections that might have saved Kaplan and her family the physical and psychological pain of a life-threatening injury that will still require significant rehabilitation. According to the online Santiago Times, the official government tourism agency Sernatur’s registry includes only 68 hostels that comply with its voluntary regulations, while the website Hostel World shows 272 in operation. In about a year, such registration will be obligatory. El Yoyo has closed, but too late for Hannah Kaplan. That said, there remain plenty of good, reliable hostels throughout the Southern Cone countries. Hostelling International Argentina, Hostelling International Chile, and Hostelling International Uruguay are dependable affiliates of Hostelling International, though the Chilean and Uruguayan branches have relatively small rosters. Even in Chile, though, there are networks of loosely affiliated independent hostels such as the excellent Backpackers Chile. If in doubt, consult with local tourist offices who, in general, scrupulously avoid recommending unlicensed places. If at all possible, avoid the aggressive touts who often meet arriving buses with offers of accommodations.